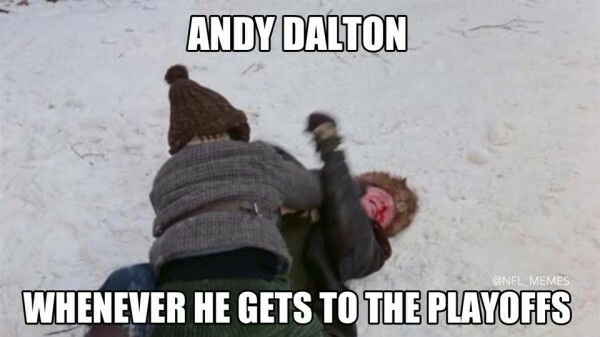 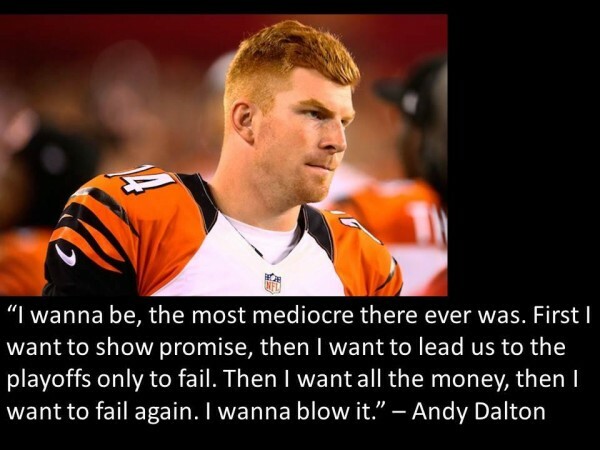 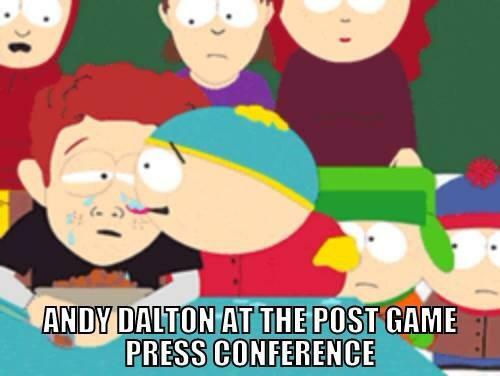 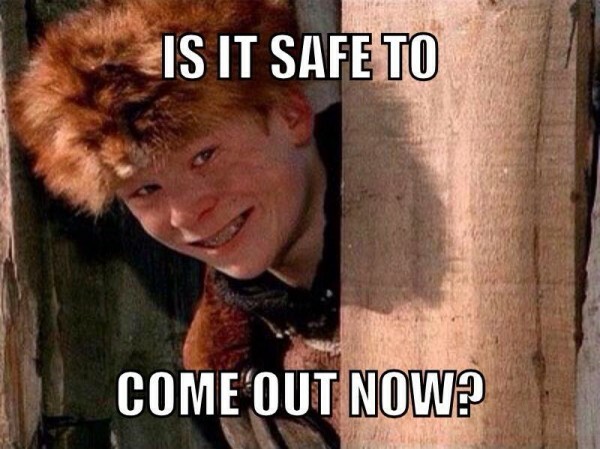 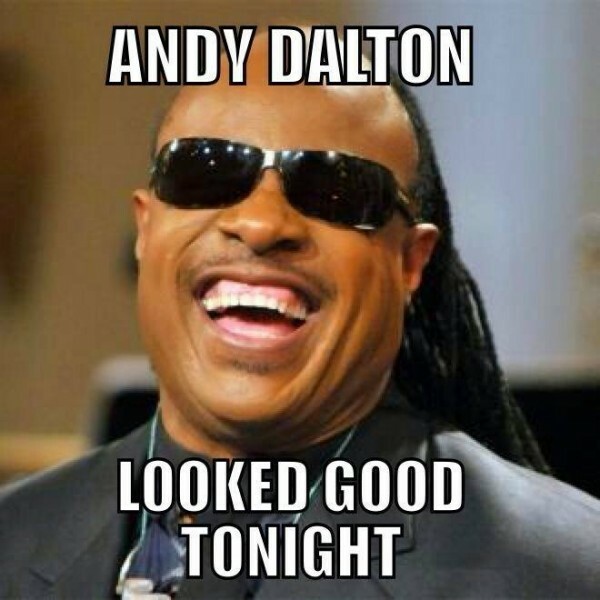 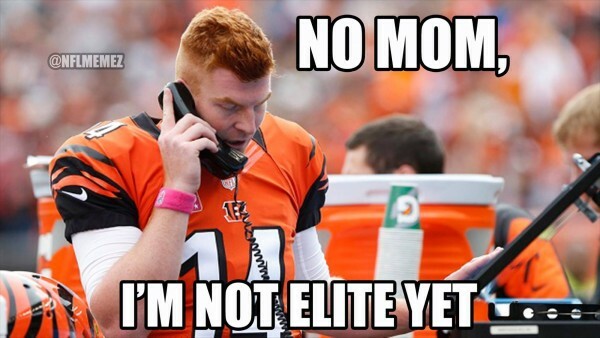 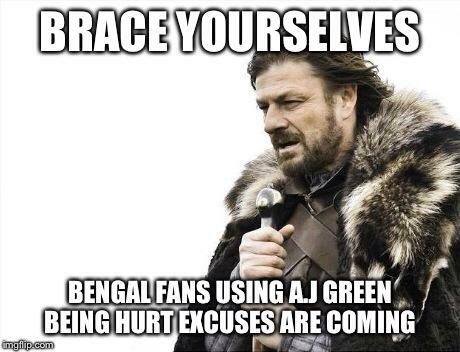 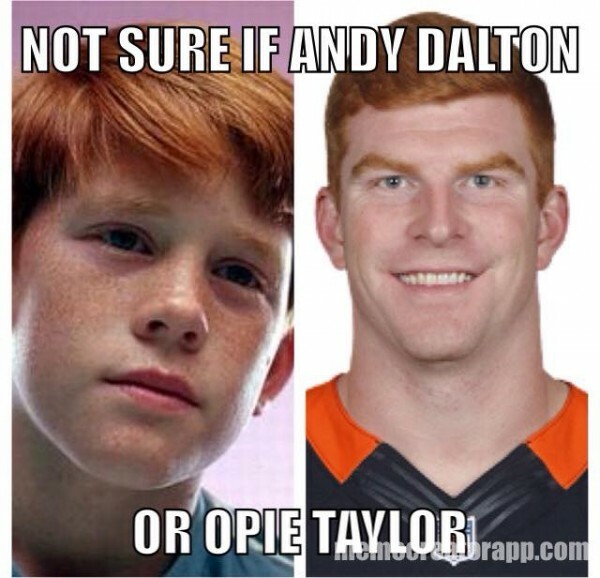 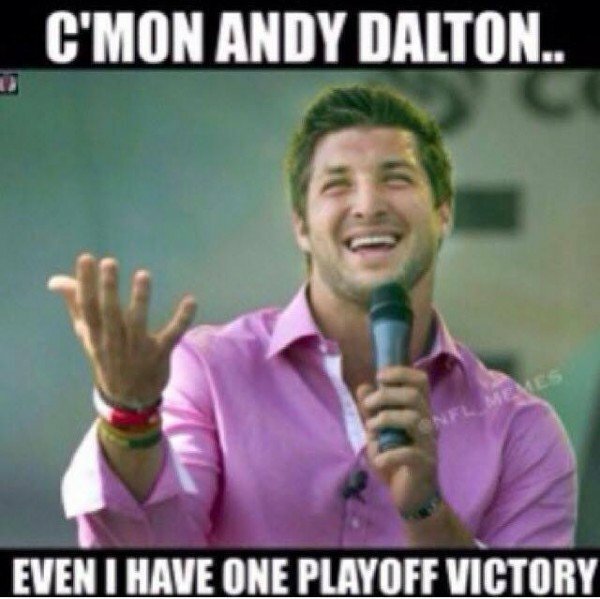 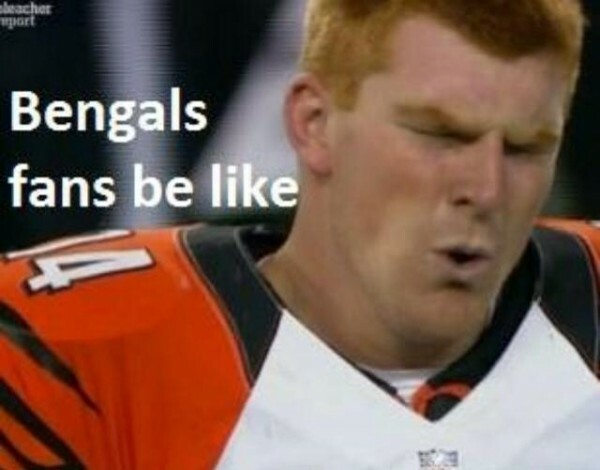 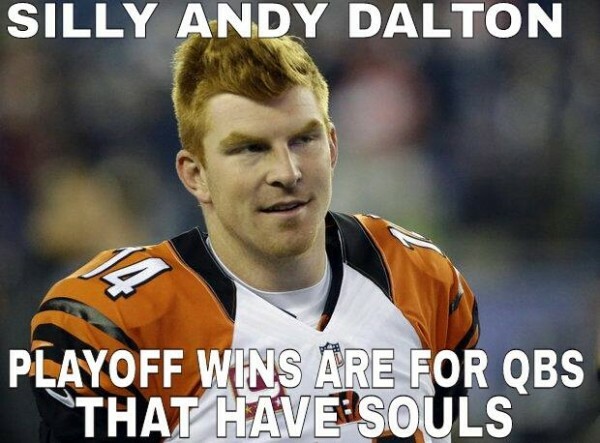 As with every playoff loss the Cincinnati Bengals have experienced in the last four years, most of the memes and jokes focus on Andy Dalton and his hair color or his lack of ability, and not the other team (Indianapolis Colts) and quarterback (Andrew Luck). 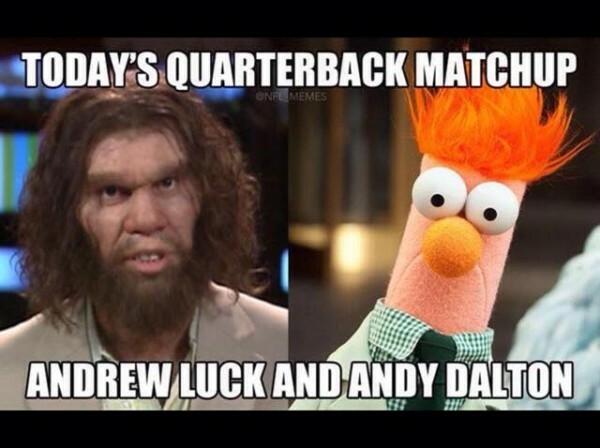 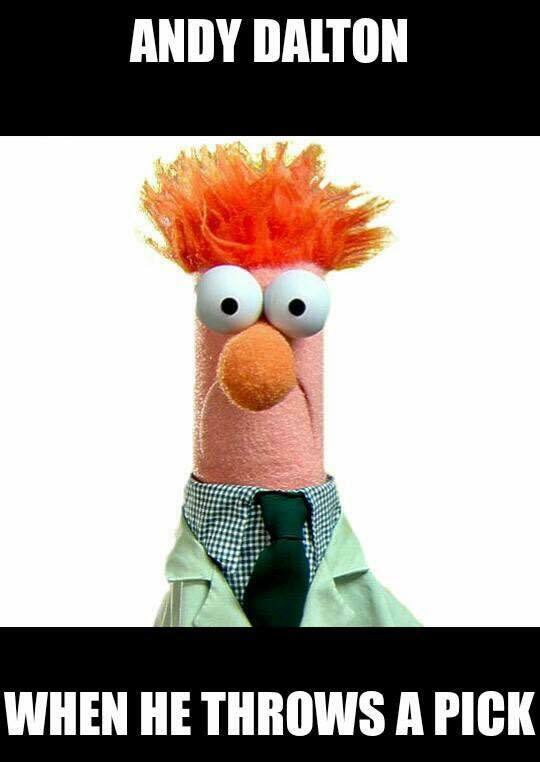 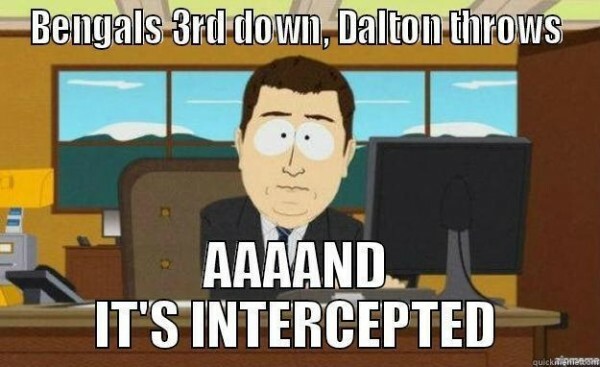 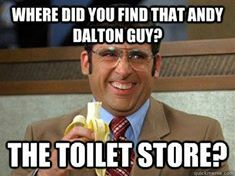 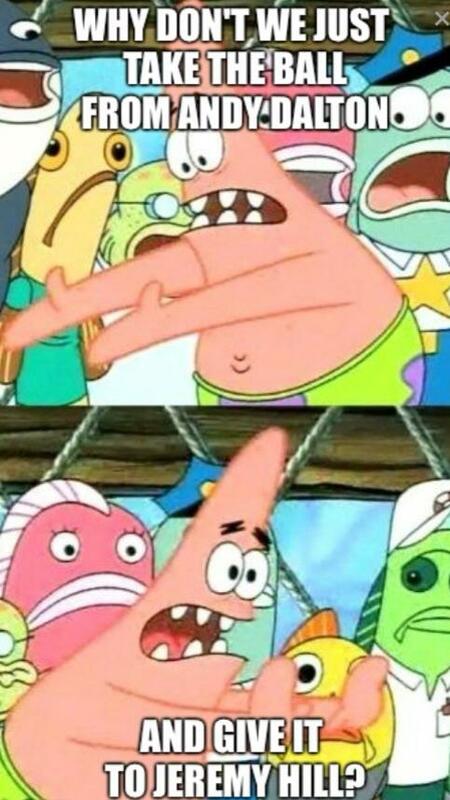 Luck played a very good game, but the thing about Dalton is that he makes a lot of quarterbacks look great. 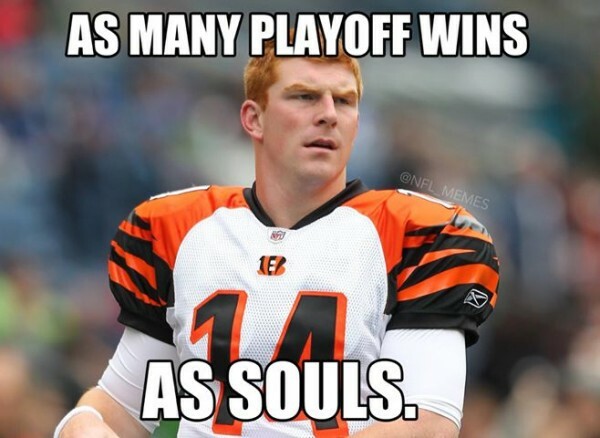 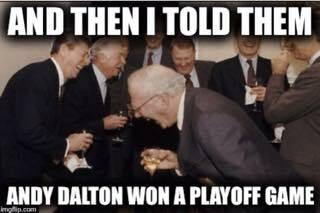 It’s never just his fault, but the four year drought despite making the playoffs each season has a lot to do with the fact that Dalton isn’t at the level the Bengals expected him to reach. 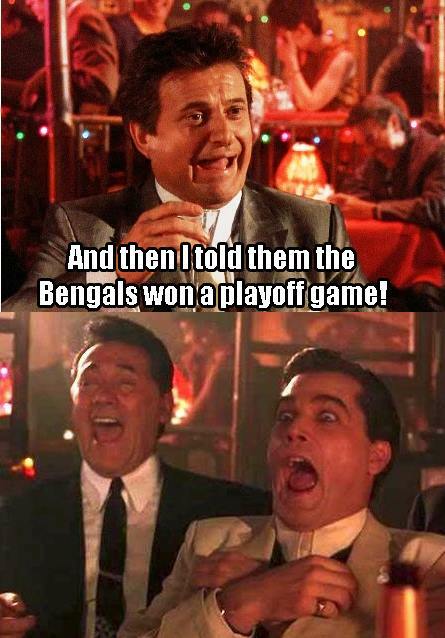 Sure, Marvin Lewis, who after a decade at the helm feels the heat for the first time in a while, is also to blame for his play calling and decisions. 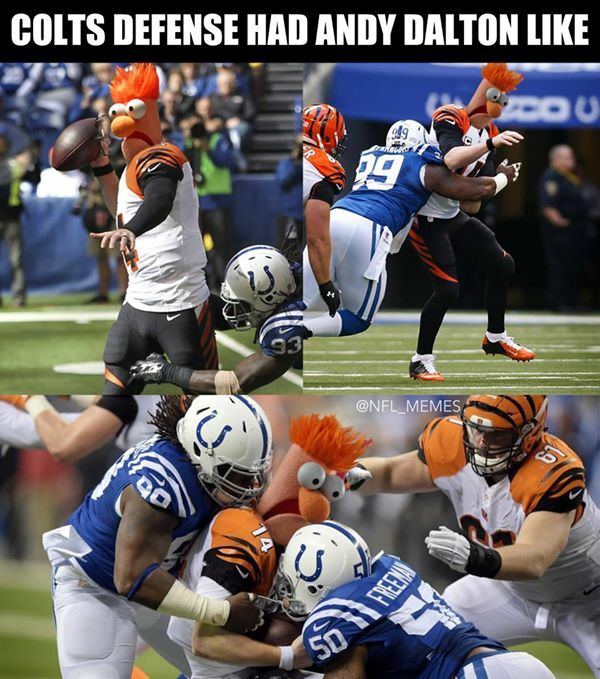 The Colts played a very good defense game and took advantage of opportunities given to them on offense. 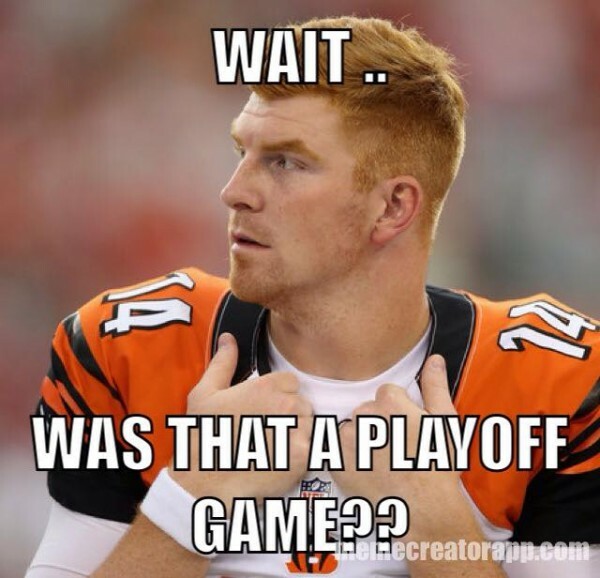 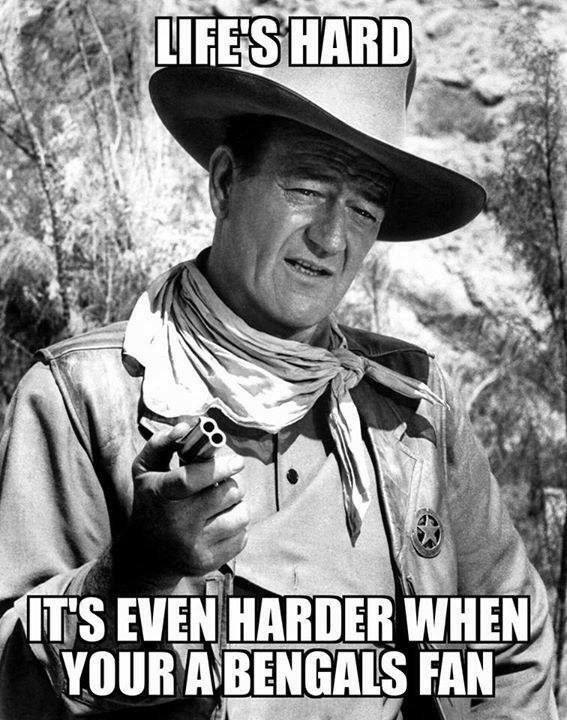 But at the end of the day, fans and media always make it about the two quarterbacks, and Dalton, for the fourth straight season, now with the franchise quarterback contract, doesn’t show up when his team needs him the most.